We are Gleeks, and proud of it! So, to let you know how much we enjoy the show, here is a little Glee inspiration board for you. Ever wondered how you could dress like Quinn? When she's not in her Cheerios uniform, Quinn Fabray has some really great style! Her wardrobe is the most classically feminine and sweet of all, utilizing a lot of romantic florals and light, airy colors. Even when rocking the maternity gear, Quinn is one of the best-dressed at McKinley High. Here are some ways you can mimic her lovely style and get all the boys fighting for you. 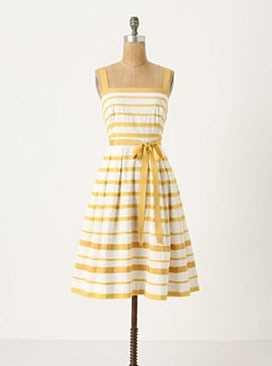 Although pretty much any dress from Anthropologie will do, this light and bright sunshine-like dress from would would surely make Quinn glow. 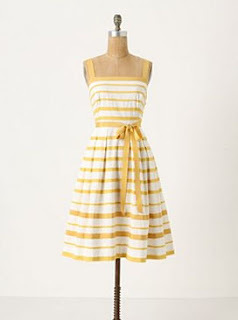 Pair it with a golden yellow cardigan and some cute white flats and you're sure to capture the heart of the quarterback. Although it's rare to find Quinn in something other than a floral dress or full skirt, once in a while she does opt for slim capris and a lovely blouse. This lace, ruffled top is exactly Quinn's "casual" style, and would look great with dark rolled up jean or olive capris and her signature loose curls. Quinn always pairs her outfits with an equally adorable pair of flats. These, available at Zappos, are a beautiful pale yellow to add a pop of color with a sweet ruffled pattern for a head to toe girly look. 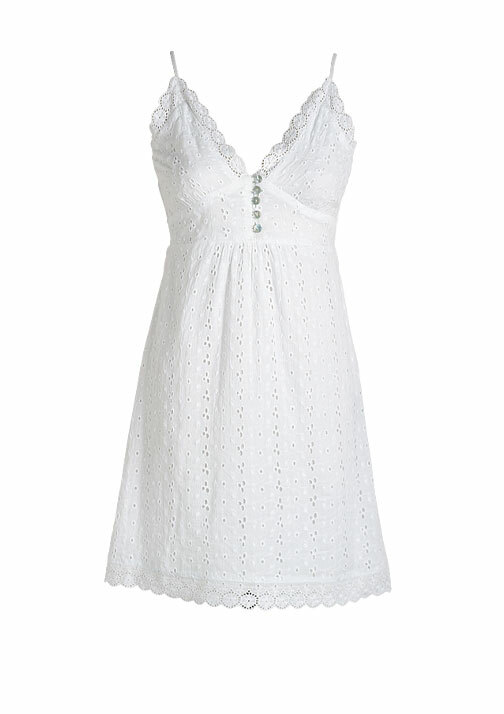 Sweet and romantic, this white eyelet number would look perfect with any of Quinn's colorful cardigans! Quinn often wears white or light colors, colors that typically represent purity and innocence. What are they trying to do, trick us? We surely remember she was pregnant. Or maybe she just looks really good in white. This dress from Urban Outfitters would surely take you to the top of the pyramid. We love it's shape and really charming colors and print. On a trip to the mall last weekend, Jen came across this feminine dot dress from pacsun and thought it would be the perfect dress for Quinn! It's old fashioned, feminine silouette is complemented perfectly with the light dot pattern, pretty neckline, and airy color and fabric. Spaghetti strap tops and tank dresses aren't always appropriate for high school so Quinn needs a color coordinating cardigan to cover up! And, finally, when her hair isn't pulled into a tight ponytail she sports long, loose blonde curls. Although somewhat childish, she typically pins back the front of her hair with an adorable barrette, like the ones above, that coordinates perfectly with her outfits. 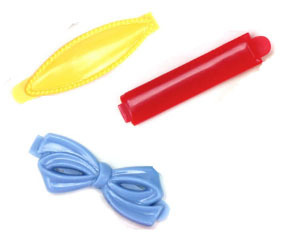 Or, a nice girly headband would also be appropriate. I looked for those yellow flats on Zappos and can't find them... do you happen to know what brand they are?